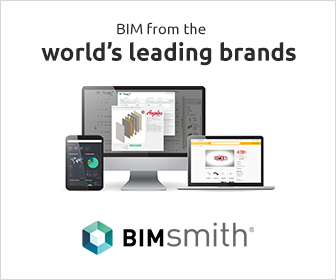 Note: Looking for Revit 2020? Read what's new since this article in our Revit 2020 Review. The latest version of Revit, version 2019.1, is officially available for the general public. 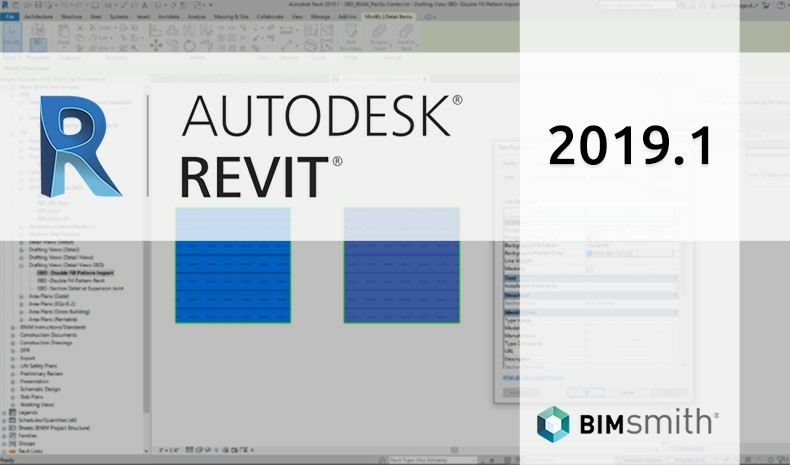 Autodesk announced the release of Revit 2019.1 on August 15, deepening functionality across the latest version of Revit that was released in April of this year. We've taken a look and summarized some of the most notable features to expect when you update. Autodesk has outlined that the new features for this release follow the theme of "Connect, Create, Optimize." 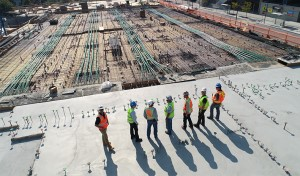 The Connect features work toward creating better synergy between different Autodesk products and the people who use them, namely those using Autodesk BIM 360 and Autodesk Civil 3D 2019.1 in tandem with Revit. 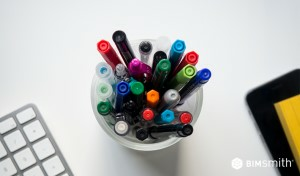 These features are all about sharing and collaborating. Create - you guessed it - focuses on optimizing the process and toolsets available for the actual modeling process. These features are all about design power. Optimize, perhaps most generic of the three, addresses the performance of Revit itself and the experience that you, the user, have with it. We all want to be happy, and Autodesk wants to make it happen. Probably the most visible update in the new release, Revit Home introduces a new user interface to welcome you as you open Revit. 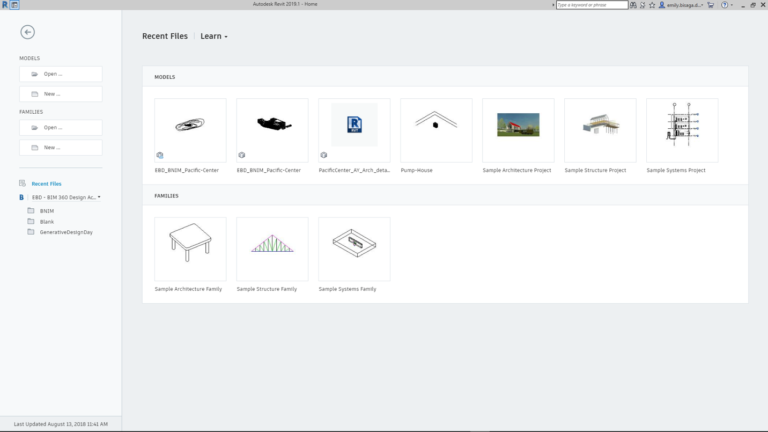 Notable for BIM 360 users is the enhanced ease with which BIM 360 Design models are accessible from this new home screen. 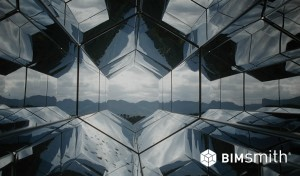 The BIM 360 Projects list has been added to the left panel, and a new focus on support for cloud models makes the integration between the two more convenient than previously. As part of the new Revit Home, clicking on a central file in Recent Files will no longer open the central file but will create a local copy in order to avoid unwanted changes to central documents. Furthermore, these local copies are hidden from within Revit Home, which cleans up the user experience significantly when searching for a project. 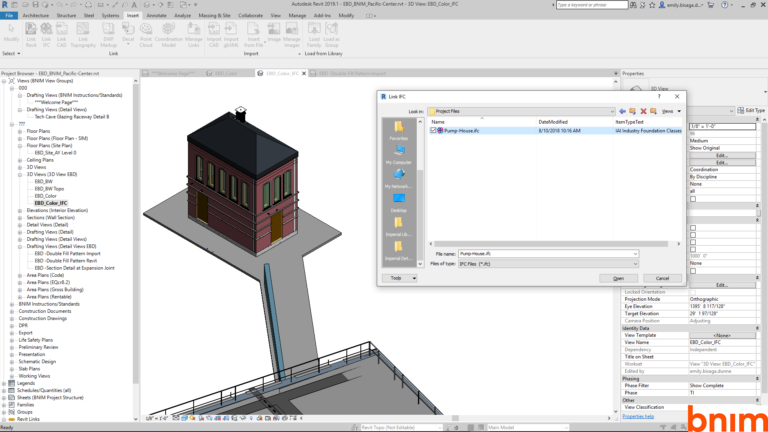 Revit 2019.1 introduces brand new connectivity between Autodesk Civil 3D and Revit to help streamline the transfer of site data. 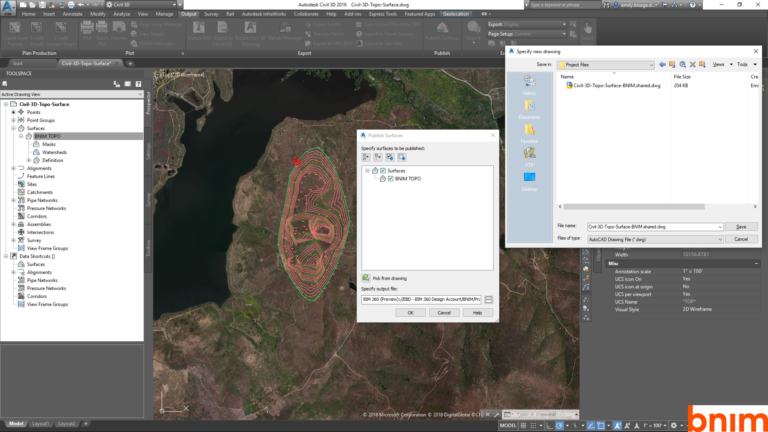 Engineers can now publish topography from Civil 3D to BIM 360 Docs via the Autodesk Desktop Connector, then link that topography from BIM 360 to Revit, complete with surface hosting, tagging, and scheduling capability. 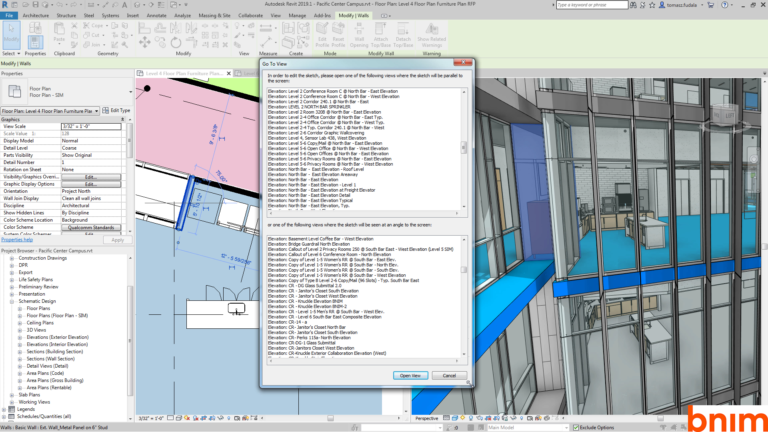 Check out some sample workflows between Civil 3D, BIM 360 Docs, and Revit here. The new release also supports IFC links from BIM 360. IFC files that are linked through Desktop Connector now maintain their links in Revit. It's a small change, but one that Autodesk sees as a valuable addition for IFC collaborative workflows. New to the Revit Free From Rebar tool is the ability to model rebar sets with planar bars along the face of another element and aligned to that element. This adds valuable versatility to the rebar tool, especially in instances of non-standard concrete structures. 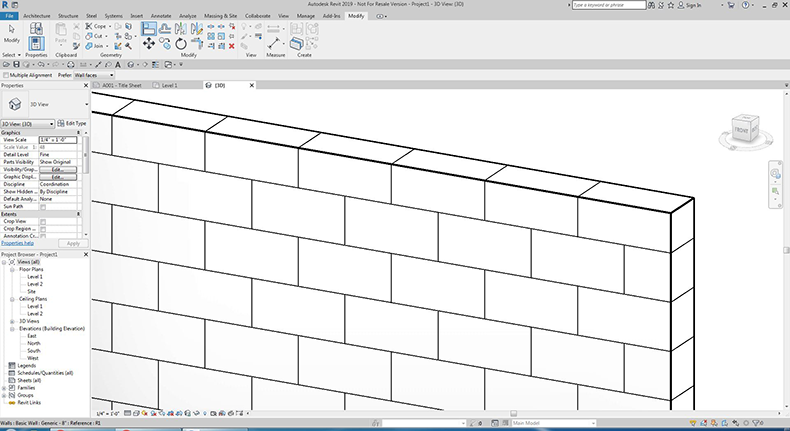 Revit 2019.1 brings added functionality to customize the visible surface of walls. The new release enables the user to manipulate a model pattern by dragging, rotating, and aligning along all faces of a wall. This adds further versatility to the control the user exercises over wall appearance. Were you excited when Autodesk announced double-fill pattern support in Revi 2019? 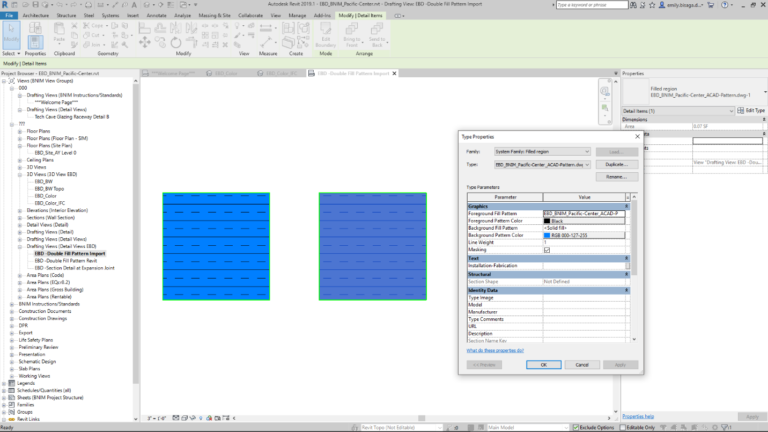 Now, it's become significantly easier to import custom fill patterns from AutoCAD to Revit. 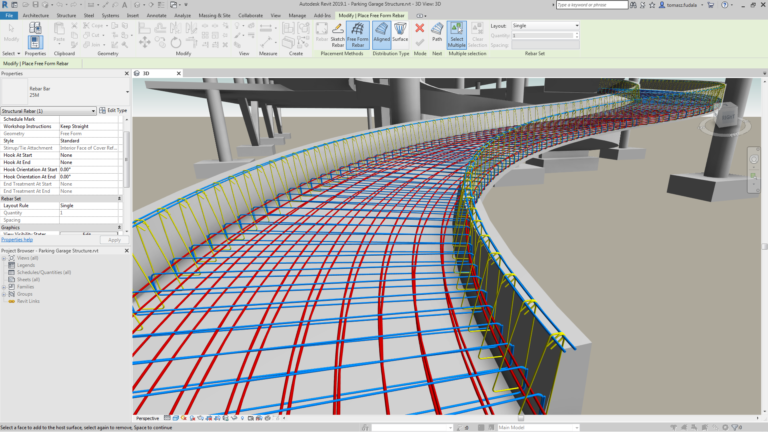 This includes the display of any background colors on import, the ability to explode an AutoCAD hatch in Revit, and the creation of a pattern with a background as a single object instead of two coincident filled regions. • Orienting a 3D view or perspective view to an elevation, section, or floor plan results in the view being oriented to that camera position, the section box activated, and the model cut. Use the Align command in Revit 2019.1 to choose a line for a section view and align an object to it, or conversely to align the section view line to an object (like an angled wall). You can also now use snapping when moving a section line or snap an object to the section line during placement. Another notch in the belt for the Revit Ideas Forum: due to popular request (complaint), the Go To View and Add View to Sheet dialogs are now both resizeable windows. Now, long titles or lists can be viewed fully be clicking and dragging the edge of the dialog to fit the selection. There you have it. We'll continue to play around with this latest release of Revit 2019, and welcome any comments from you on what you think of the updates. 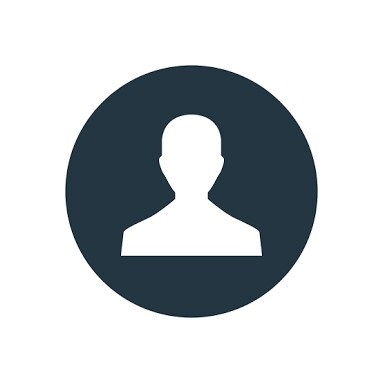 As always, if you see something that's still missing or you have an idea for how to improve Revit even further, you can always submit your ideas at the Revit Ideas Forum on the Autodesk website. Awesome, a few small changes, but still a lot more changes to be addressed. Thanks for the comment Steven! We would love to hear what other changes you were able to find so we can add them.